I have been working with Abby for over two years. I decided to work with a coach because I knew I needed a personalized plan for me. I was never a stellar athlete but 8 years in the Marines and almost 20 years of running in the military and on my own left my back and knees feeling worn out and weak. I started taking CrossFit classes and I found that I really enjoyed the Olympic lifts and HIIT style of working out. I grew stronger but I was still dealing with the same aches and pains. That's when I decided to speak with Abby about her personalized style of fitness coaching. Fast forward 2 1/2 years and I am in the best shape of my life. I say that for a few reasons. First, I am stronger than I have ever been. I continue to break PR's in the gym and in every day life I am able to outwork myself from 10 years ago! Second, I am more in tune with my body and mindful of what it is telling me. Last, I am not intimated by physical challenges that my arise outside of the gym. Overall, I am much healthier than 3 years ago when I turned 40. Abby is what makes the difference. Her professional manner is far beyond her years. Her understanding of the human body and its movements is amazing and her desire to help others achieve their goals is impressive and motivating. 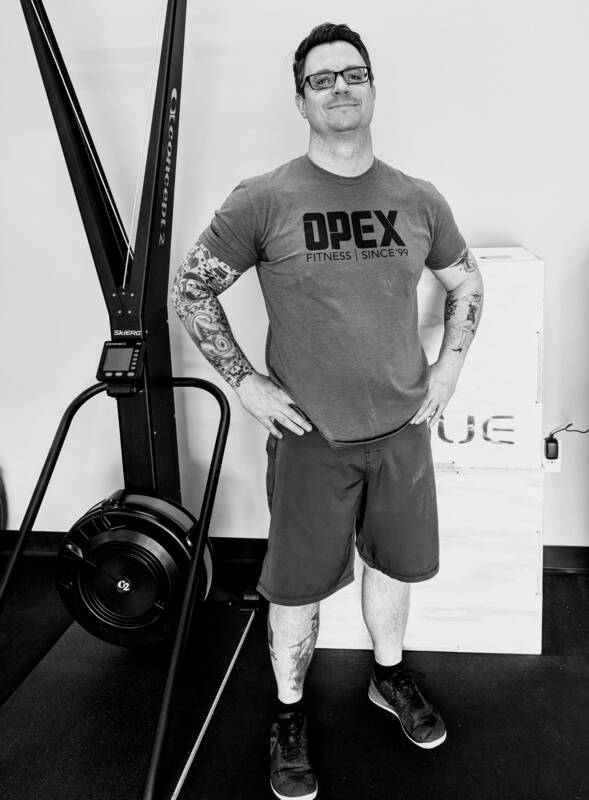 Abby is everything that a great fitness coach should be and OPEX is the perfect format for her to understand her clients, build a specific plan for their goals and make everything fun and enjoyable! I really couldn't be more thrilled to work with Abby and OPEX, they have positively impacted my life and I am thankful to them for that.